Rebecca Shepherd floral design: The Foundry in Long Island City. 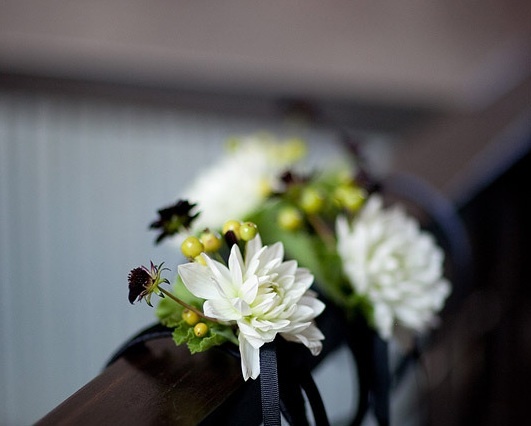 Black, white, green wedding. The Foundry in Long Island City. Black, white, green wedding. 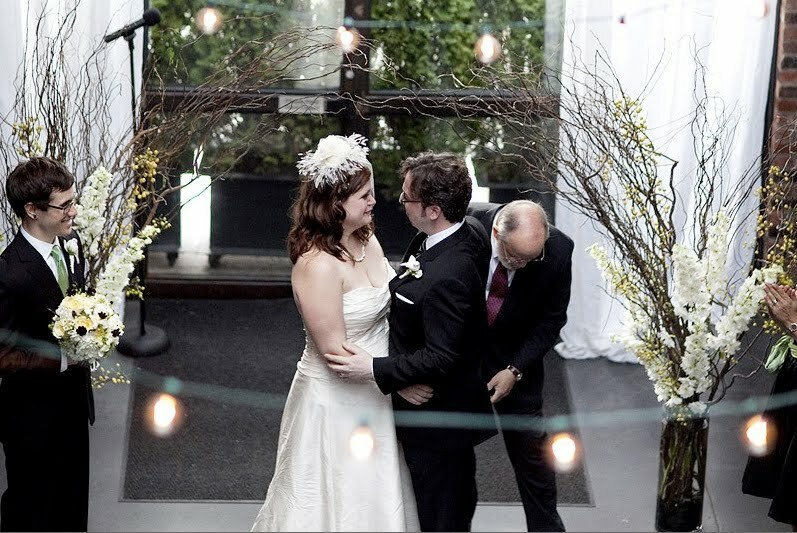 Linsey and Jeff found me online and promptly set up an appointment to talk about their flowers. These two were a pleasure to deal with not only due to their quality taste in style, but, they were beyond organized! 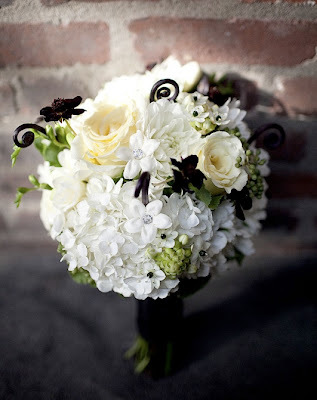 The bride told me that her desired floral style was whimsical yet modern and clean and slightly edgy. They wanted to use all black, white and green florals to complement the exquisite Foundry venue located in Long Island city. We choose chocolate cosmos which actually smell like chocolate! 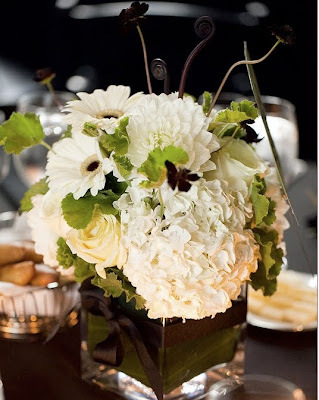 Gerbera daisies with a black center, fiddle head ferns, white hydrangea, geranium, and stephanotis in the bridal bouquet. 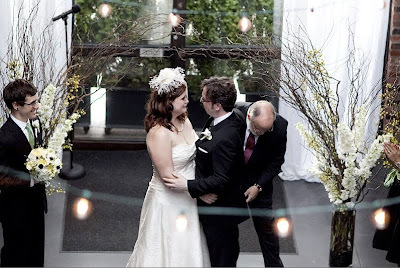 Her ceremony pieces were clear cylinders using branches, green berries, and gorgeous white delphinium. The HUGE urn was so much fun to make. I literally had to straddle between the ledge and the center urn. 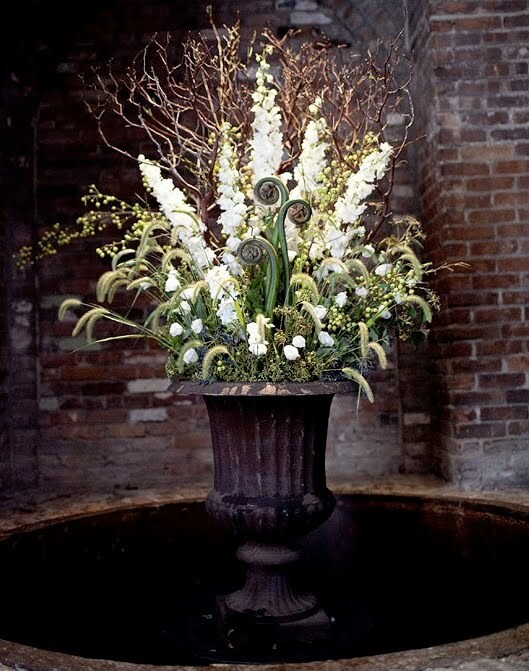 It is made up of Manzanita branches, vibrunum foliage, JUMBO fiddle heads (3 in the front of large arrangement) and white delphinium. Lindsey's brides maids wore a custom made head band with white Dahlia, chocolate cosmos and geranium attached to the side for a little 20's flare. These are gorgeous. So elegantly done!